Harvest open day - Grampians Olive Co.
On Sunday 11th June we are holding an open day - celebrating the 2017 olive harvest by firing up our pizza oven and enjoying some local wines. Cost is $30 per head for all you can eat wood fired pizza, including your first glass of wine. 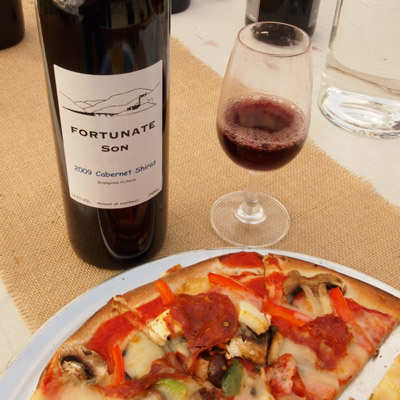 Pizza will be served from 12:30pm - 1:30pm and then will run a harvesting and pressing tour/demo. Of course you can also chat to us about olive pruning, curing and other questions if you are caring for trees at home! Bookings are much appreciated, click here to book. Hope to see you there! Our farm shop is still open every day 11am - 4pm as usual.